Two sided mattress handmade in the U.S.A. from the highest quality, 100% natural, organic materials. 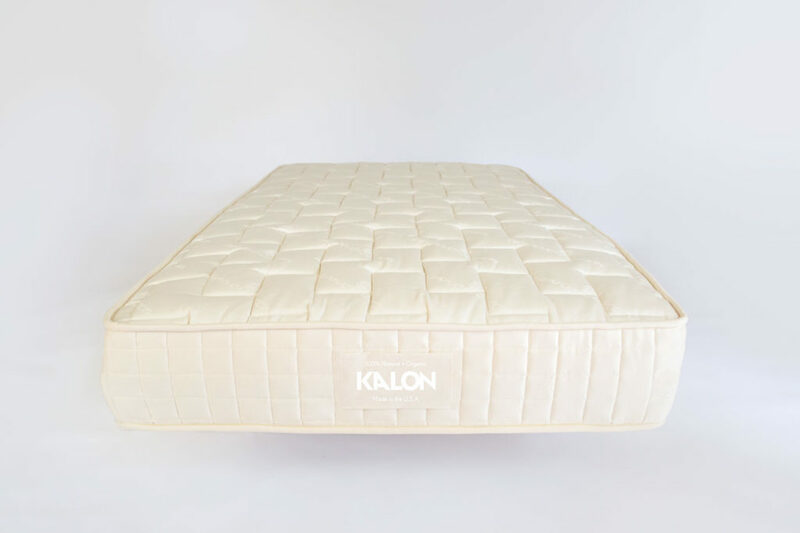 Designed with the belief that less is more, Kalon’s Organic Mattress uses only four carefully sourced, pure organic materials and contains no additives or toxins. 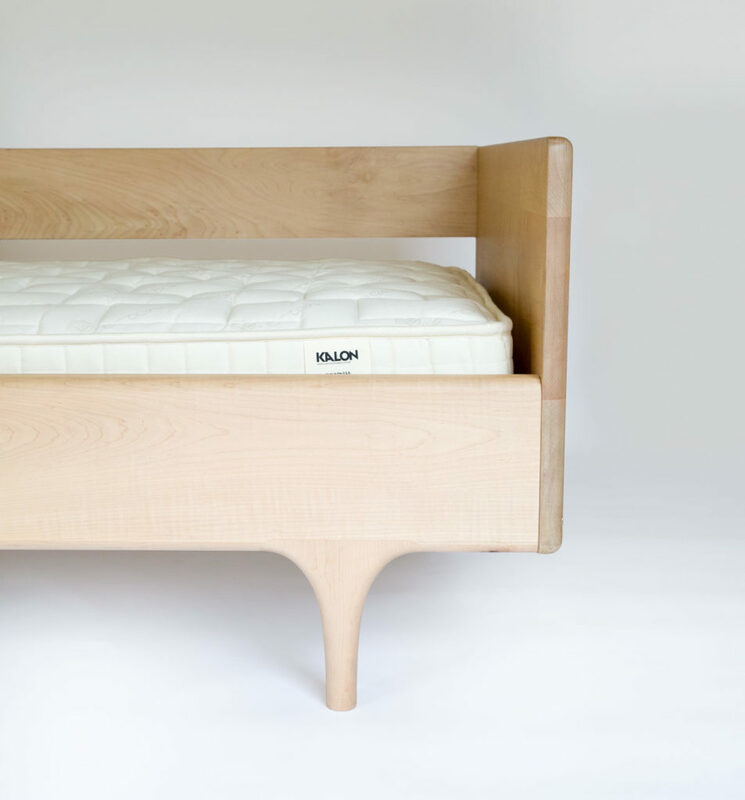 Two-sided mattress handmade in the U.S.A. from 100% natural, organic materials. 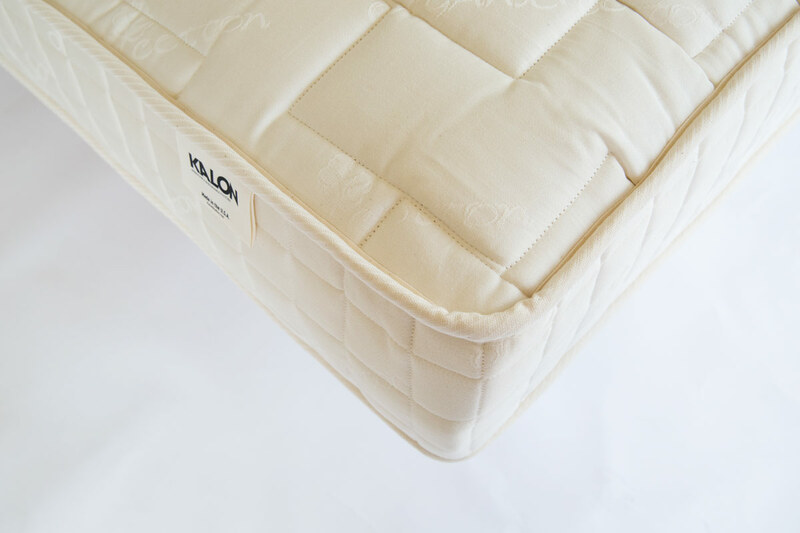 Designed with the belief that less is more, Kalon’s Organic Mattresses use only four carefully sourced, pure, organic materials. 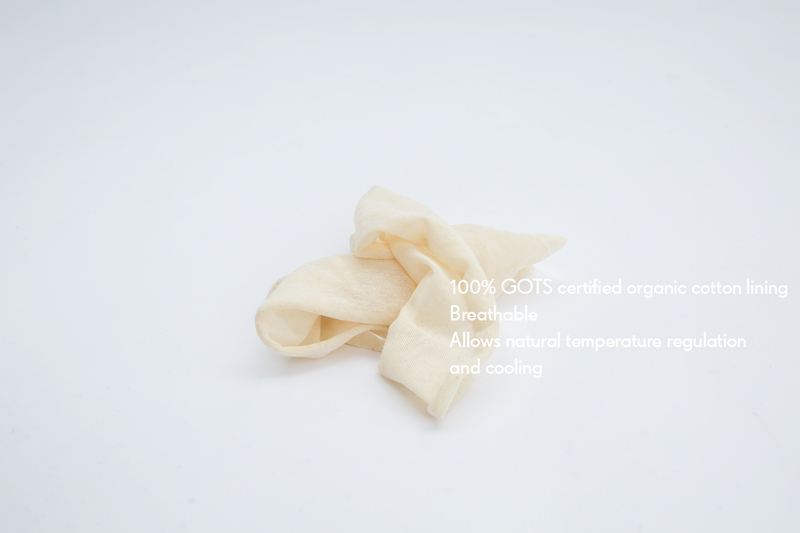 These materials were carefully selected to offer a 100% natural bed that lets each body sleep the way it is supposed to. 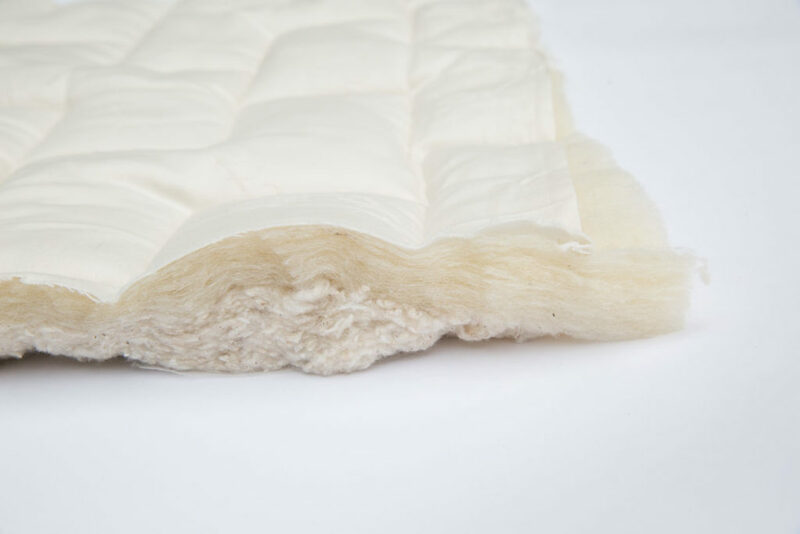 Plush and supportive, this chemically neutral mattress is as good for you as it is for the environment and the craftspeople who make it. 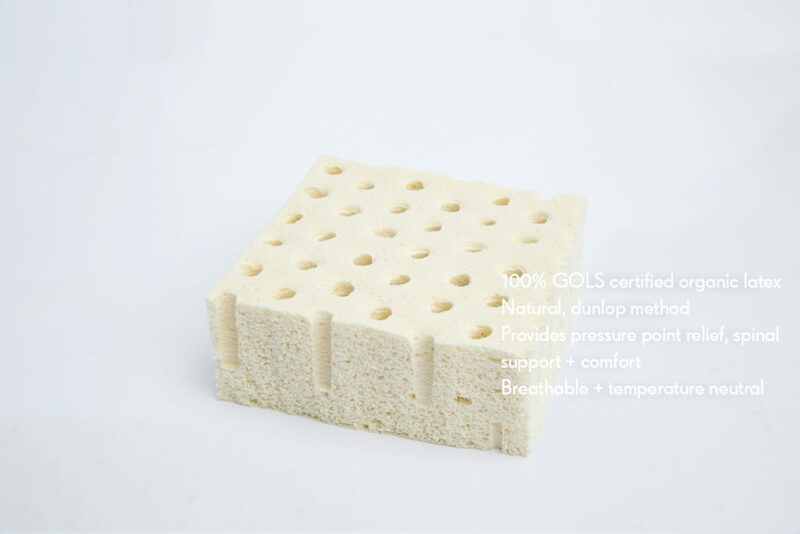 This mattress has received no chemical treatment whatsoever and is made without any additives or toxins. 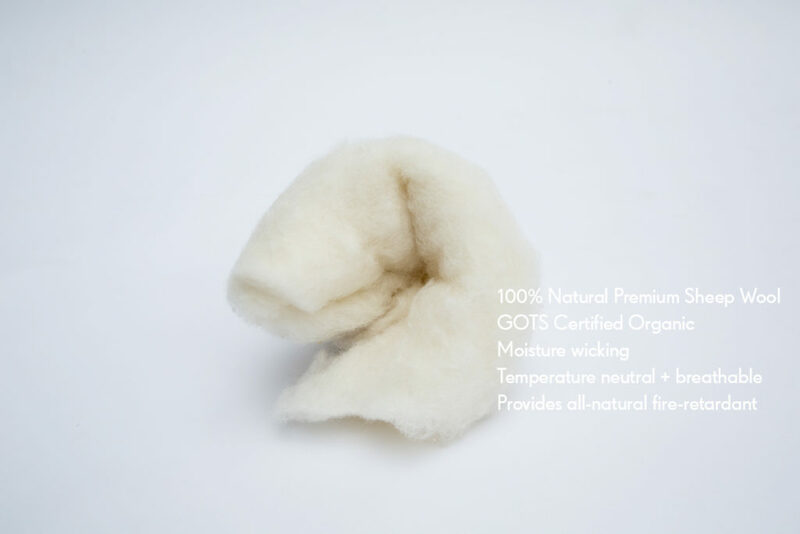 These materials were carefully sourced and certified for natural, organic content at the various stages of production, from farmer and crop to factory. 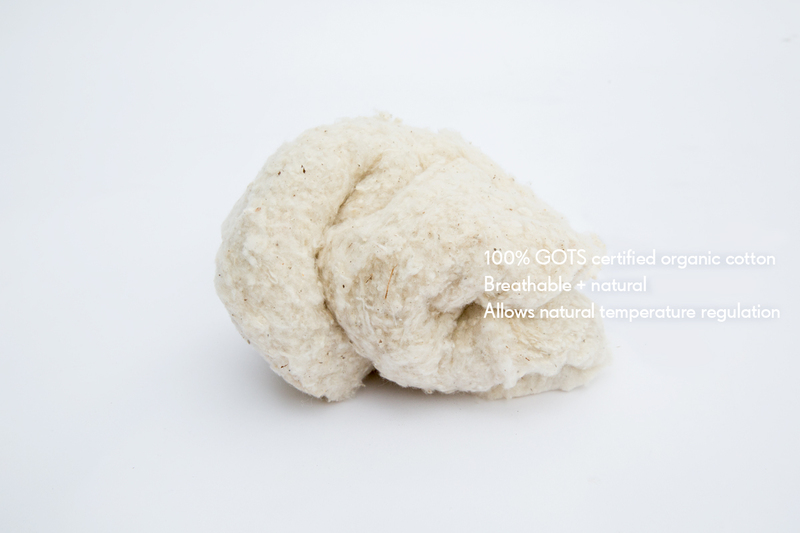 They are naturally hypoallergenic and resistant to bacteria and mold, naturally fire-retardant and naturally cooling. Each mattress is sustainably made to order, one piece at a time, and offers a piece with no toxins and no off-gassing, for the environment, the craftspeople and you. Uncompromising in design and quality, Kalon’s Organic Mattress is sustainably made from the highest quality, natural materials in Los Angeles by the finest traditional craftspeople. Looking for a crib mattress? Check out our Dream No. 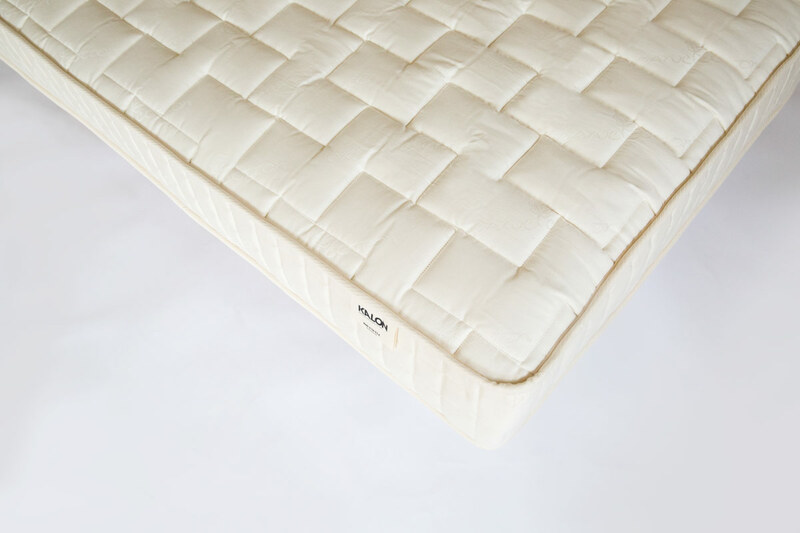 1 Mattress that fits all of our cribs and toddler beds. • Flippable, dual firmness mattress made from layers of organic coir and latex wrapped in sheep’s wool and organic cotton.